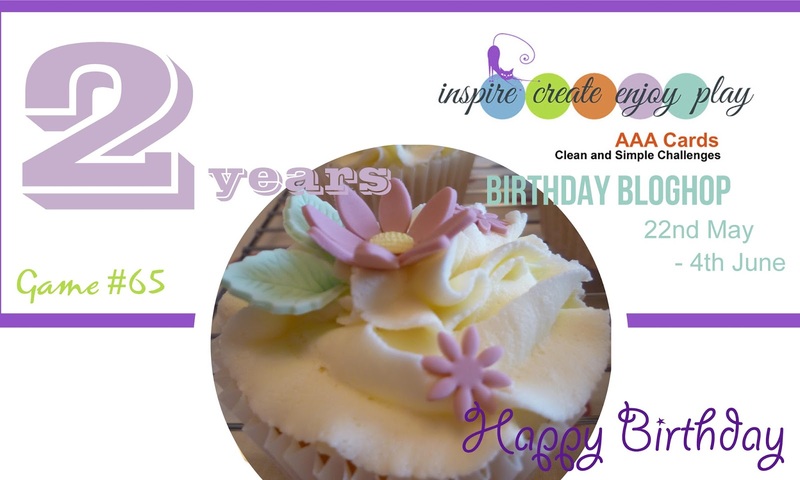 welcome to the 2nd Birthday Blog Hop for AAA Card Challenges! 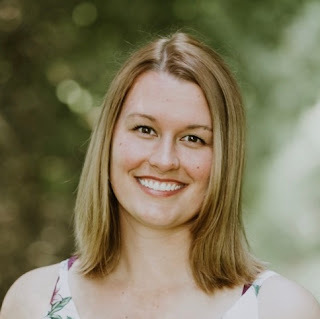 If you are starting here or coming from Jenny's Blog, you're in the right place! I decided to make a card using my all-time favourite stamp: Botanical Love by Create a Smile Stamps. There are many ways to win prizes for the hop and there are a ton of prizes to be won! It is all explained on the AAA Card Challenge Blog and at the very end of the post. 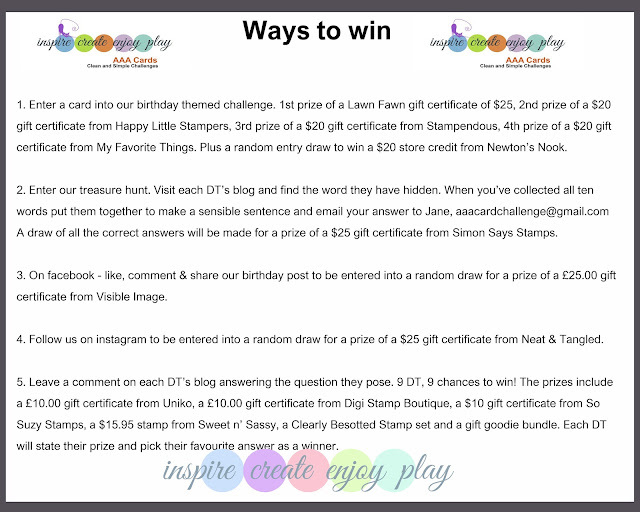 GIVEAWAY: Cleary Besotted Great Job Stamp just comment on my blog and answer this question - I'll pick my favourite answer for the winner! When I'm in a crafting slump, I always haul out my Sending and Wishing Stamp from Simon Says Stamp - what is your favourite stamp that you keep reaching for? Your next stop is Melissa! 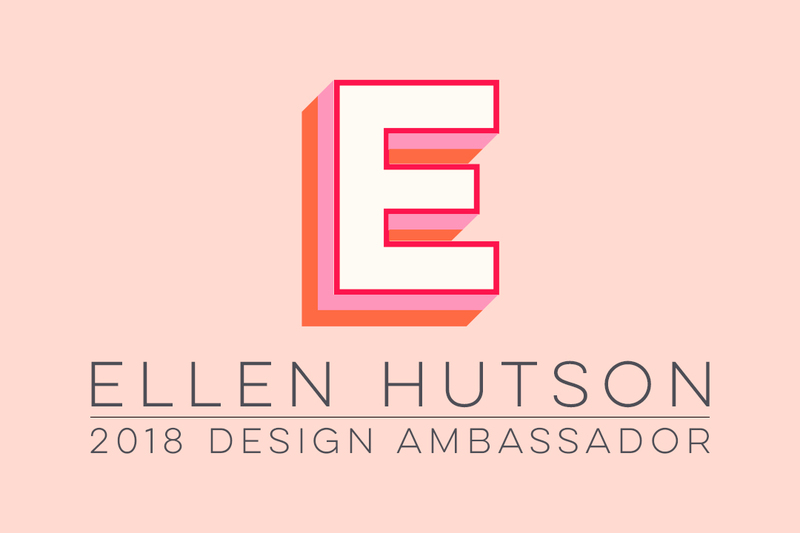 Hop over to see what she created! If you are interested in how I made this card, please check out my video tutorial I created a while back. This is the exact same technique except I used the Magic Flowers stamp from Create a Smile instead and pink and purple markers. Some affiliate links used. This means I make a small profit when you shop through the links (at NO cost to you) that helps support this blog. For this particular card, I used the 12 pack of Zig Markers. 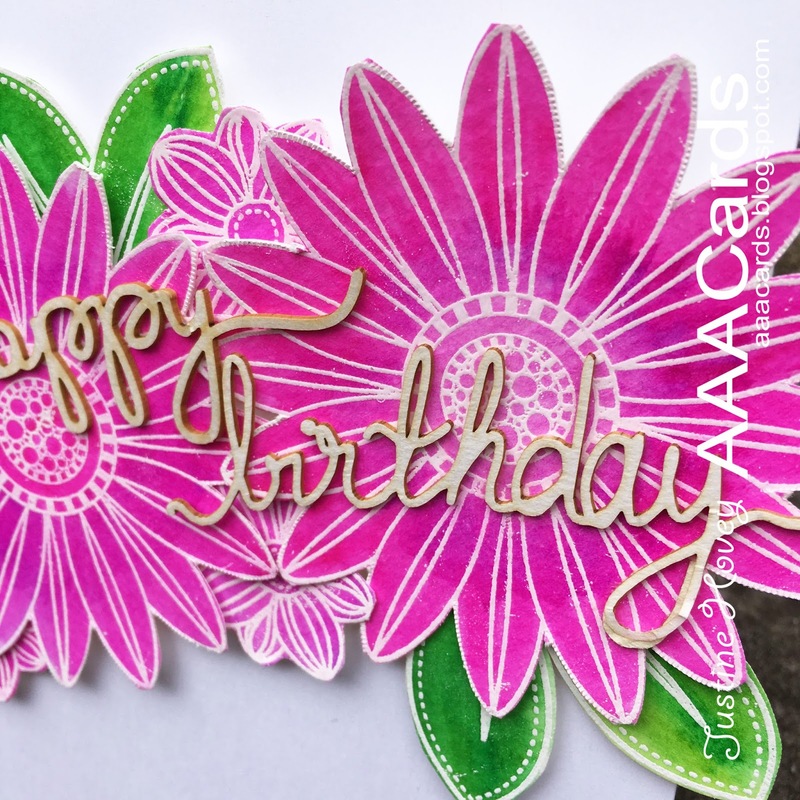 Muse Challenge #66: I took inspiration by using flowers and creating a birthday card. Oooh I love your fab bright blooms! I don't have a go to set. I just pick out a floral stamp set and stamp away. Flowers and cheery colors always does the trick. WOW Justine, now THIS is a HAPPY birthday card! LOVE IT! When I am in a crafting slump I tend to go for an old SU set that I love. Its called In Full Bloom and for some reason I can ALWAYS make a card with that! Also, thanks for the great video. I am always looking for great easy Zig Clean Color Brush tutorials! What a stunning beautiful card! It just pops! Thanks for all the video tutorials too, its very helpful! My go to stamps are the Stampendous Happy Birthday stamps. I always seem to go back to them even though i have other birthday stamps! 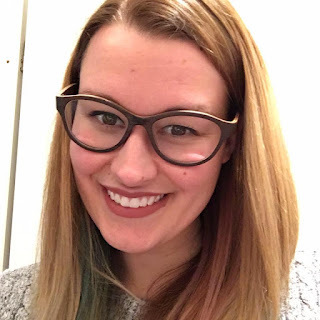 This is a super fun take on this week's inspiration! Love the big blooms and the overlaid sentiment die cuts! So glad you joined us at Muse this week! Spectacular and so vibrant in that hot pink, a real stand out and be noticed card. My favourite stamps are motivational words or quotes. Really love one by Bee Crafty that says 'I just want to make beautiful things even if nobody cares'. I reach for any of my flower or butterfly stamp sets. Love the bright colors! So cheerful and beautiful! Your question is a bit hard because I like so many stamps. Looking back over my blog, I have to honestly say I don't have any particular set, but I do pull out my Newton's Nooks Designs stamps a lot because I love the kitty images. My favorite stamp by far has been the Beautiful Day stamp set by Altenew. It is beautiful if you just use one layer, water colored, or stamped with all the layers. Justine I love your beautiful vibrant flower! Thank you so much for sharing with us at Muse this week! Thanks a bunch for the chance to win! Gorgeous card! Love the flowers and the fabulous colors! My go-to stamp set is Winnie & Walter's In Bloom: Addie's Garden set! So many beautiful flowers to choose from, along with pretty leaves and stems! Lots of mix and match possibilities! Beautiful card and a cute giveaway. I always reach for one of my Papertrey Ink stamps. Love the company. Gorgeous bright and cheerful card those flowers just jump out at you. 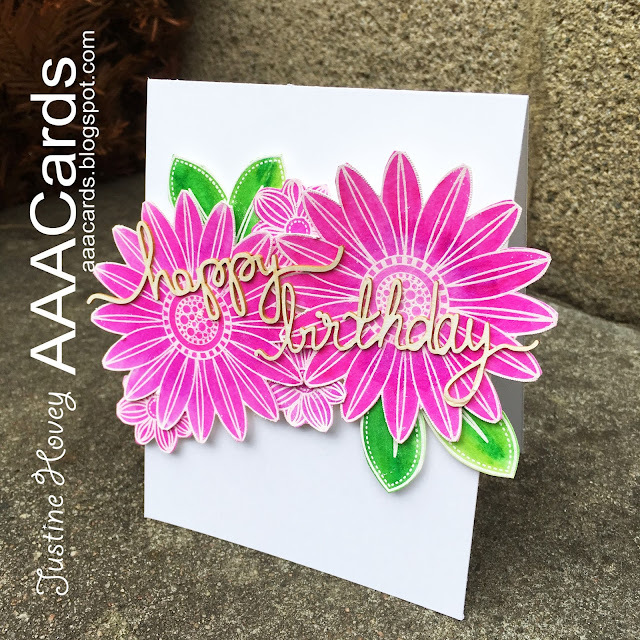 My favourite in a slump go to set is Altenew Painted Flowers they are so easy to use but make even a simple card look like so much time and effort has gone it to it. Absolutely love this card! The colours are beautiful and as you know, this is my favourite stamp set! Love how bright and bold the flowers are! 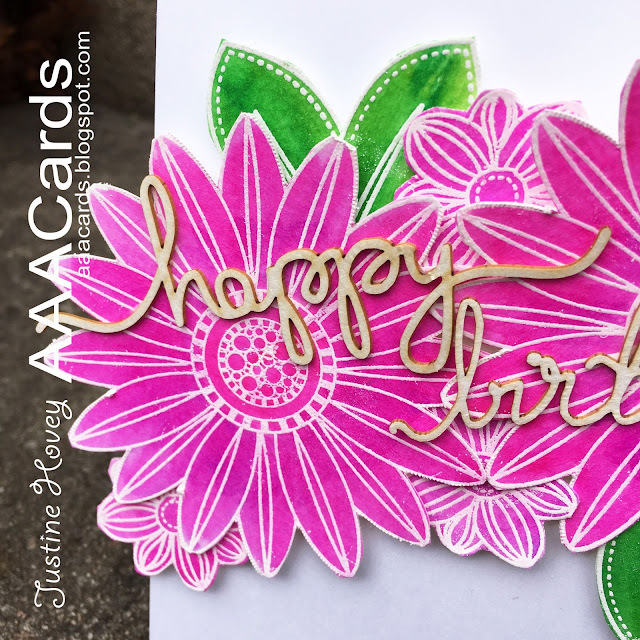 Love your vibrant colors on your card! My favorite thing I reach for over and over when in a slump is my messages with Flourishes by Hero Arts. What a bright and cheerful card - the pink is just gorgeous!! Don't really have a favorite stamp for slumps - I just get out my whole stash (which are in 4 treys) and see if something sends out a spark! The pink flowers are fabulous, they just hold your eyes onto them. I will not say I have a favorite stamp set to get out of the slump but somehow I just love using SSS Big Birthday Wishes. That is my go to stamp set. Love those bright flowers. My altenew vintage roses is the stamp set I've been reaching for recently when I've not really felt it (probably because my time is so limited recently) - I love how you can make a card with them so quickly but it looks like you've spent an age on them. This card is GORGEOUS! Love the cheerful colours! I always reach out to my Happy Everything set and Landscape Trio by Mama Elephant for inspiration. Gorgeous card Justine, I love that bold pop of colour! I think my go to stamp is one of loads of tiny dots from Stampin' Up's Gorgeous grunge set... those dots seem to find their way onto a whole lot of cards! I reach for a fun image to color...copics or watercolor, something to brighten my day and have fun with colors. Thank you for the chance to win! Happy Birthday to all of you at AAA Cards! Love your beautiful card with those lovely flowers. Thanks for the tutorial. When in a slump, I always use a Floral stamp that I color with Copics or Markers. Have many favorites from Power Poppy and A Year of Flowers(GKD). Wow. Amamzing! Did you do Emossing first and than inked it up wiht the zig pens. Impressed.. Love those wooden sentiments as well. Love Magnolia stamps! But also other compagnies are having some cute images I wanna use if I win one of those! That's for sure! Wow, those flowers are gorgeous, Justine! One of my favorite "go to" sentiment sets is A Little Sentimental from Clearly Besotted. It has nearly every sentiment one would need (except holidays) and I love the clean font. Wonderful, flamboyant flowers. Love the way they're bursting off the card. 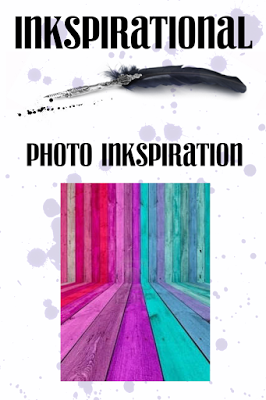 My favourite set is an Inky Doodles set 'Caroline's Doodles'. Lovely flowers I've used again and again. Can't have too many flower stamps! This is definitely a WOW card Justine. My favourite stamp set is the Autumn Saying mini stamp set by We R Memory Keepers because I love making/sending Thank You cards. Your card is so bold and beautiful. My favorite stamp is PTI Harvest Berries. I have several favorites, but when I want to make a birthday card I usually go with the balloon set from Sumon Says Stamp. Balloons are so simple and representative of birthdays and celebrations. Oh, your card! So Pretty! My go to stamp is probably a Hero Arts Christmas sentiment stamp set. It has all kinds of xmas sentiments that I use all the time. A really vibrant and powerful card, gorgeous! May go-to set is a pair of sentiment stamps that I've used non-stop ever since I got them two years ago - and sadly yesterday I put my heat gun down on them and damaged them, so I've just ordered a replacement set. Your birthday card is fresh and bright, and so pretty! I'm more of a paper artist, so my favorite sentiment is a beautiful sentiment that fits the occasion. Lately I've been using one from Reverse Confetti - -"Let Your faith be bigger than your fear." Love your bright and cheery card. My go-to stamp set is the very first one I ever bought. "Lovely as a Tree" by Stampin' up. :-) I live in a small town and a friend introduced me to the only cardmaker in town. She showed me this stamp set and I fell in love: with it and the papercrafting. Thanks Justine for such wonderful inspirational cards. Love 'em. Such a happy, vibrant card! I don't have a favourite stamp. I do have a lot of yet unused stamp sets and I'm trying to start using them. Having said that, I do have a few sentiment sets that I use more frequently. Wow, your card is so striking, I really love the pink flowers, very pretty! My favorite stamp set is probably Altenew Hennah Flowers. I think it's the set that I've used the most and I'm never bored of it! PTI Doodle Flowers set is competing of the first place though... Completely love them as well and often use them. Hmm... I actually think they are equally fantastic. Yes. That's how it is, it's a tie! I love those big pink flowers. I'm always reaching for something different so I don't have anything that is my go to stamp set. What a wonderfully bright birthday card - love those big blooms!! I like to use a variety of sets/dies, but Papertrey Ink's Signature Greetings is always right next to my craft desk and I use it the most! Amazing card Justine! I love that stamp set from Create a Smile I definetly need to buy it! the stamp set that I used more often I think that is from Create a Smile Crokisses! I just love love that stamp set! Happy 2 nd anniversary! LOVE your card - just fabulous!!!! I don't have a particular stamp set that would get me out of a slump - and I don't have those very often.....but I love anything geometric and bird stamps. Your card is beautiful! I love your coloring and your sentiment! I keep reaching for the same Penny Black birthday sentiment. Very pretty card love your flower . I have one sentement stamp set from winni and Walter . Absolutely my favourite. Love your card - it is beautiful!! Gorgeous blooms!! My go to stamp is actually a Happy Birthday sentiment from Stampin' Up! I use it so often it sits on my shelf - I don't even remember for sure which set it goes with!! Love those pinks and purples. My most used stamp set is the Keep it Simple Birthday sentiments from Papertrey. Those flowers are gorgeous and love how they pop against the white background. If I'm in a slump I tend to reach for a stamp set where I can send a card to someone else and make them feel better. That in turn makes me feel good too. I love the 'Faceted' stamp set by Neat and Tangled, such fabulous positive sentiments for a friend. Pretty card! I love the flowers and the bold colors! I don't have a specific set I pull out, as I usually can find my inspiration with my most recent purchase! It becomes my favorite design at the moment, so that's what I'd reach for!